The Baird/Holowka research laboratory integrates biological, physical, and chemical approaches to investigate basic mechanisms by which cellular receptors mediate transmembrane signals in immune and other physiological responses. 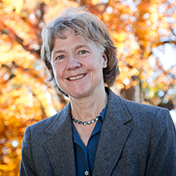 Barbara A Baird is the Horace White Professor of Chemistry and Chemical Biology at Cornell University, and she currently serves as Senior Associate Dean in the College of Arts and Sciences. She received her BA in Chemistry from Knox College and her PhD in Chemistry from Cornell University. Her postdoctoral studies were carried out as a Damon Runyon Fellow in the Immunology Branch of the National Cancer Institute at the National Institutes of Health before she joined the Cornell faculty in 1980. Dr Baird has led a number of programs at Cornell; recent positions include Chair of Chemistry and Chemical Biology, Director of the Nanobiotechnology Center (a Science and Technology Center of the National Science Foundation), Director of Graduate Studies in Chemistry, Director of Cornell’s NIH training grant in Molecular Biophysics, Co-Director of the WM Keck Foundation Program run jointly with faculty at Weill Cornell Medical College on Molecular and Cellular Biophysics of Signal Transduction. Dr Baird has served on the Council of the NIH National Institute of Allergy and Infectious Diseases and on scientific advisory/review committees for Los Alamos National Laboratory, Brookhaven National Laboratory, and centers at several universities. She is a Fellow of the American Academy of Arts and Sciences, Fellow of the American Association for the Advancement of Science, and Fellow of the Biophysical Society.